So, the line up of Mayhem Festival 2013 has officially been announced and it’s looking like a year worth going to. Usually the Festival is hit or miss, but they brought on Mastodon, Amon Amarth, Machine Head, Children of Bodom, Behemoth, Job for a Cowboy, and Born of Osiris among others for the event this summer. Not to say there aren’t some less favorable additions. Should be hilarious to see Emmure take the stage before Behemoth. Check out the flyer along with some heavy music down below. 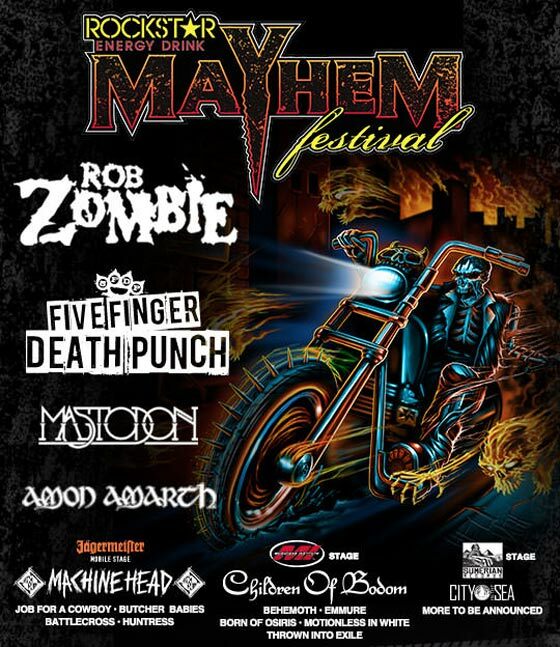 And if you want to go to Mayhem 2013, be sure to head over to their Official Website and grab some tickets sooner than later!